We travelled to a small town called Jaen and conducted a Bible training course to prepare leaders for the churches that God is calling together in that area. We had 25 taking the course. 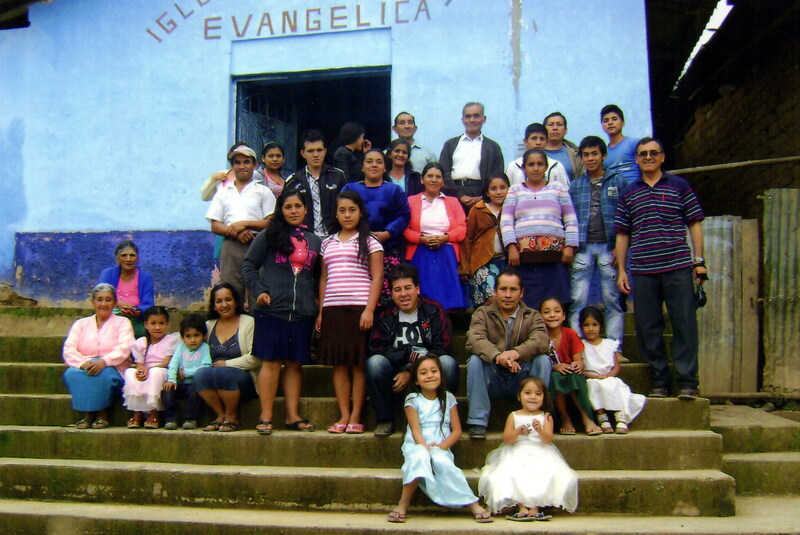 Now we’re back in Cajamarca where each Monday I wake in the middle of the night to make it up to the Porcon community and preach a 6 a.m. service that these dedicated Christians attend before starting their work week. Then on Tuesday of this week we began a vacation Bible school. A public school teacher from Lima came with some other sisters to help us in this work. Next up is another Bible training course with the church leaders in the Cajamarca region. We need to prepare workers to plant new works and make disciples. We appreciate your prayers and support. Below: The group of participants in the Bible training course at Jaen. Esta entrada fue publicada el febrero 5, 2014 por Walking Man. Se archivó dentro de Uncategorized y fue etiquetado con Bible training course, Cajamarca, missions, Peru, vacation Bible school.